North Park is a quickly developing community in San Diego. North Park is gaining much attention for its food and drink scene. Just south of North park are Burlingame and South Park, just west is University Heights and Balboa Park, just north is Mission Valley, and just east is City Heights. Forbes Magazine says it well…. 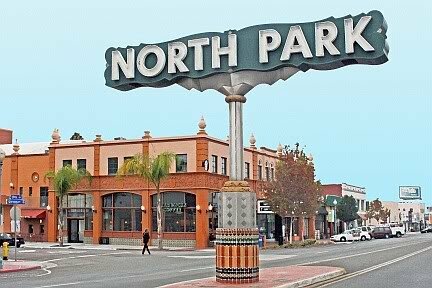 “North Park is home to Craftsman cottages, cafes and diners, coffee shops, several microbreweries, boutiques, and the North Park Farmers Market. The North Park Theater and the Ray Street Arts District are also bastions of creativity in the area.” The farmers market is one of the most highly rated in the country. North Park is becoming a haven for beer and food lovers in San Diego, as is easily walkable. North Park is an older part of town; many of the homes were built in the early 1900s. If you want to be in one of San Diego’s most vibrant spots, you should definitely check out North Park! GET INSTANT ACCESS TO NEW LISTINGS IN NORTH PARK CA!